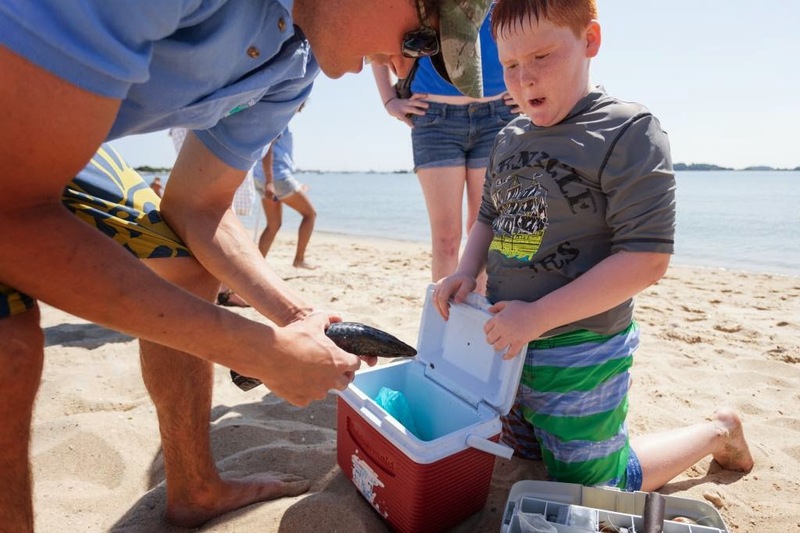 This past Friday marked Save The Harbor's annual Beach Bash and Splash. 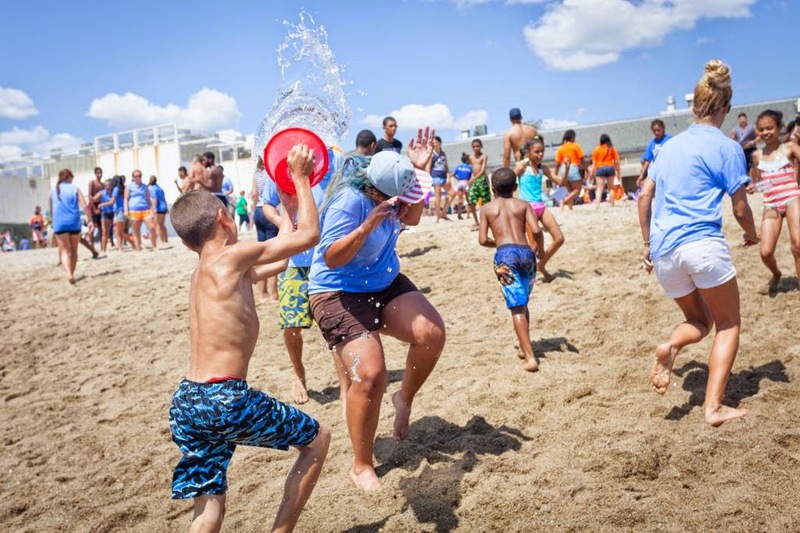 This year approximately 700 kids from clubs, camps and community groups from across Boston joined SHSB for a day on South Boston's M Street Beach—courtesy of The Curley Community Center. Activities included face painting, mural art, volleyball, and of course, fishing. It seemed a much better day to have a line in the water than last year's Bash and Splash. The tide was up, providing us with much more water on this shallow beach. The fish however, were still absent. Fortunately we brought a good selection of different bait, piquing the curiosity of nearly all who came over to visit. While producing a fish proved difficult, the day still provided some good opportunities to teach kids how to properly cast a rod. It was great just to observe the sheer number of kids who came over and expressed such deep interest. Many were reluctant to leave the rods, even as lunch started to come off the grill. After lunch came "The Splash"—the highlight of the event—when those in attendance rush into the water at once. It was quite the commotion. The splashing didn't end until we had to leave, and everyone—prepared or not— had been drenched. It was a fantastic day for a beach party—cool water, warm sun and hot dogs on the grill. For what more could you ask? Thank you to all who made the event possible. To clean water and an endless summer.